Welcome to Riki McDonnell's Website. Be sure to purchase your copy of Riki's latest CD 'Poles Apart where he is joined by Alexandra Kerwin and the ‘Kiwi All Stars’. Forward excerpts by Alexandra Kerwin. "To gather the cream of Australasian banding is no mean feat. From the first meeting in Riki McDonnell's office to the unplugging of the microphones after the recording it was a huge undertaking." "So, together we assembled our ‘Kiwi All Stars’ each one being a decorated Australasian player (including an MBE on the backrow!). It’s all very well getting the best players, but will it work on a recording with no rehearsals. We had no need to worry however as the weekend was full of the most wonderful music making and laughter. The weekend was the most amazing and memorable time for all of us." "Simon Kerwin wrote 'Poles Apart' especially for Riki McDonnell and myself. As Riki is a Kiwi and I’m a lassfrom Huddersfield in Yorkshire it became an interesting idea to explore the idea of a hemisphere ‘battle’where Riki and myself play famous melodies from the Northern and Southern Hemispheres. It was such a great concept that it was an obvious choice of title track." 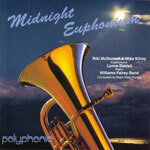 Midnight Euphonium contains a feast of music from Puccini's "Nessun Dorma" to the Euphonium Duet "Euphonism". This piece was commissioned for Riki by the Brass Band World Magazine and performed at the Edwardian Opera House, Buston, England. Riki is accompanied on this album by the Famous Williams Fairey Band. 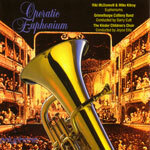 Spurred on by the success of Midnight Euphonium, the amiable Mack and Mike of the Euphonium (Riki and Mike Kilroy from Derbyshire, England) collaborate again in this charming collection of many well loved Operatic favourites. This time the Grimethorpe Colliery Band provide the accompaniment alongside the Kinder Childrens Choir. The Euphonium Songbook, like it's predecessors, extols the lyrical characteristic of the euphonium. Few brass instruments can match its ability to equal the extressivness of the human voice and Riki and Mike have assembled a programme of some of the best loved songs of all time. The Duo are accompanied by the Marple Band (Barry Cutt) a proudly independant Brass Band from the northwest of England. Call of the Seasons, Anna Karenina and a new Goff Richards solo, Jean-Elizabeth are but a few of the many melodies on this outstanding disc. 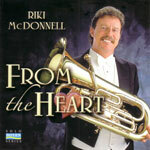 Riki McDonnell lives in New Zealand and has devoted most of his life to music. His musical career started as a boy soprano and his first professional engagement was singing in the stage show Oliver. A large family of brass band players influenced Rikis entry into the brass band world in 1969. Within two years the NZ Junior Tenor Horn title was under his belt and the very next year Riki claimed the NZ Open Horn title. This win was the start of twenty Open titles (5 on tenor horn, 8 on flugel horn and 7 on euphonium). Riki has won more titles than any other competitor in New Zealands 120 plus years history. He is the only person to win the Champion of Champions on three different instruments. Other successes have been enjoyed in Australia, winning their Open, Champion of Champions and the Ern Keller Memorial (1993) titles. Riki has represented New Zealand in three National Youth Bands and four National Bands, touring North America, Asia, Europe and UK, featuring as soloist. Clear musical highlights for Riki are, performing to 250,000 concert goers at Symphony Under the Stars and winning the Errol Mason Memorial Brass Musician of the Year (1991). 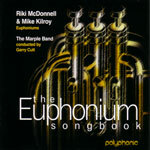 Many prominent composers and arrangers have been commissioned to write for Riki which prompted CD recordings:- Midnight Euphonium with Faireys, Operatic Euphonium with Grimethorpe Colliery and Euphonium Songbook with The Marple Band. 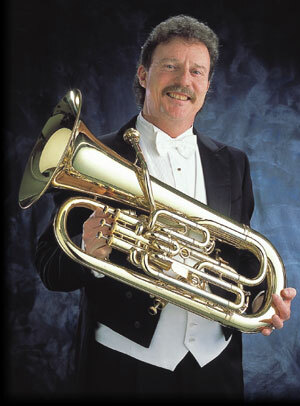 Major Peter Parkes directed Midnight Euphonium, Garry Cutt directed Operatic Euphonium and Euphonium Songbook. Philip Sparke expertly produced all three CDs. Riki has performed many times with the Auckland, Christchurch and New Zealand Symphony Orchestras and has performed with brass and concert bands throughout the world. In 2001 he joined Grimethorpe Colliery on their Brassed Off tour of New Zealand and Hong Kong, playing baritone. Solo performances are continually in abundance for Riki with piano, brass band, concert band and orchestra. Performances in Finland and North Carolina, USA helped Riki receive the prized International Euphonium Player of the Year (2002). new music, CDs in the pipeline, and a willingness to perform world-wide.